The Nissan GT-R is without doubt on every petrolhead’s list of dream cars. The Japanese supercar is one of the most affordable performance vehicles out there in the market today but is nothing short compared to a prancing horse or a Lambo in terms of technology and performance. 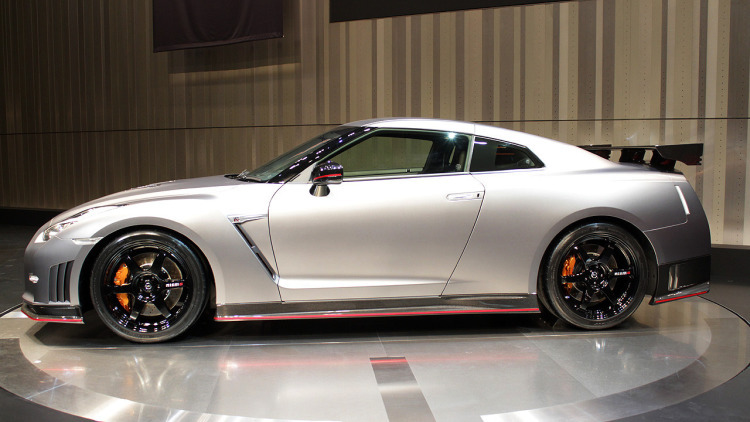 The 2015 Nissan GT-R is one of the most refined vehicles from the company. It’s not just fast on straights but feels incredibly confident around corners too. Absence of body roll further instills confidence while entering the high-speed corners. The all-wheel drivetrain deserves special credit, as the torque is split 50-50 between the front and rear wheels, ensuring traction and reducing the chances of wheelspin. The 2015 Nissan GT-R draws power from a hand-built, 3.8-litre twin-turbocharged V6 engine block, displacing 463 ft-lb of torque, alongside 545 BHP. This is the epitome of technology, as the power displacement is nothing shy of an eight to ten-cylinder engine block. The six-speed, dual-clutch transmission system deserves special credit as it’s the driving force controlling the massive amounts of torque generated by the engine block. The transmission system puts the right amount of power to the wheels, while cruising and during full-throttle. The smooth driving experience on the GT-R has a lot to do with the transmission. When you’re paying a premium price for a vehicle, expect the makers to go an extra mile to ensure perfection. However, the GT-R does not cost a bomb. In fact, the vehicles that it competes against, costs at least four times! Nonetheless, the 2015 Nissan GT-R does not feel cheap. The interior, for example, boasts of a dash composed entirely out of carbon fiber, with a chrome GT-R badge carefully pasted on the steering wheel. The only downside of the car is that, the engineers didn’t build the interior from scratch. As a result, you might find similarities with other production cars from Nissan. Quality is of utmost importance, and even though you won’t find bespoke leather from 12 cows specially reared high up on the mountains, adorning the interior, the carbon fiber feels quite good. What I liked most about the 2015 Nissan GT-R is that the engineers have paid attention to practicality too. Yes! This supercar comes with four seats. It’s not a 2×2, but houses four proper seats, which are capable of accommodating full-sized individuals. The GT-R is actually the second performance car in production at the moment with usable rear seats, the first being the Porsche 911 Turbo. However, Nissan clearly offers a more reasonable leg space. Well, if you want to hold a sporty edge over the standard variant, you might want to go for the Track Edition. However, they lack the rear seats! How You Get Hold Of Cheap Tyres And Reasonable Wheels And Tyre Packages? It is usually quite costly for a person to keep changing the tyres of your car due to which searching for cheap tyres is the best option that you can go for. If you are looking for cheap tyres, you will need to go to places where they can sell tyres to you at a cheaper price and ultimately, you don’t suffer from a bid void in your pocket. Now, how do you know which place sells good quality Wheels and tyre packages for sale? You will find that from whole-sellers to dealerships, there are many different locations from where you can avail these tyres. You should choose a good option for your tyres and make sure that you pick the correct one as well. Only then can you make sure that the tyres you have in your vehicle are of good quality and functionality. When you are searching for tyres, there are many different places that you can look for and this will allow you to compare the prices in various outlets and then figure out the cheapest and best quality available at that price. Before searching for tyres, you must have a concept of what you really want from the tyres. Only then should you venture out and look for the perfect match for your vehicle. There are many famous brands of tyres and you might try checking out some brands of tyres for your consideration. You can find cheap tyres from many famous brands like Yokohama, Goodyear, Michelin, Continental, BFGoodrich, Pirelli, Dunlop and many others can be found in various web stores at convenient prices. When you want cheap tyres, the best time to look for them is around the time after the beginning of summer or only after the beginning of wintertime. Suppliers will start introducing new Wheels and tyre packages at good prices right before the beginning of a new season. Furthermore, most companies will try to get rid of the old batch of tyres that they already have and hence, they will sell the existent ones in lower prices. As a result, around the holidays, you should definitely come across some major deals on your tyres. Tyres are quite essential; in fact, they are one of the most important parts of your vehicle since they are responsible for making your vehicle move. You should understand that these tyres go through various road and weather conditions and as a result you should choose a balanced option for your tyres, when it comes to price and quality of the vehicle. This will allow you to choose the perfect pair of Wheels and tyre packages for your vehicle over the long run. This way your tyres get to stay good with proper maintenance for a long period of time and you end up extracting the most out of your cheap tyres. When you are planning to buy new wheels, you can either choose to buy original wheels or you can also choose some replica wheels. Now, you can get the option of factory made wheels but instead you can go for the Simmons wheels as well. If you buy the factory wheels, it will definitely make you look really classy and throw in a premium feel. However, the sad fact remains that it will create a rather big hole in your pocket and that’s not usually a good thing. Hence, you have the option of purchasing the cheaper wheels. When you buy the replica wheels however, you will still have enough savings and you can probably do some other customization on your car later on. However, keep in mind that the savings you make will probably make you use them on another pair of Simmons wheels when the first one gives out. You will notice that the replica wheels are not at all strong or durable as that of the original alloy wheels. These wheels have the tendency of getting easily damaged due to the process of gravity casting and on top of that, they can get bent or cracked very quickly. Compared to that, the Simmons wheels are made up of higher grade materials and you don’t have to worry about them getting bent unless you drive your vehicle through very rough terrain. In order to fit the manufacturing, a lot of settings inside these wheels are changed so as to fit the manufacturing budget. However, you should notice that the wheels are available at a lower price and at the same time, the quality of wheels also need to be lowered. The factory-grade wheels are also resistant to all sorts of damages as well road chemicals and different kinds of potholes. The replica wheels however are vulnerable to damages of all these kinds. The factory grade wheels are tough and also highly resistant against various kinds of road hazards along with various car wash and chemicals. In case you are worried about the looks, you need to understand the fact that there will be differences even though they are replica wheels. There are many replicas which actually copy the design and layout of factory grade wheels. However, the replica wheel manufacturers cannot keep their design exactly same to that of the OEM wheels and therefore, they must make some changes in order to keep their product distinct. Furthermore, the factory wheels are far better when compared to replica wheels and they will fit them perfectly. Therefore, you should understand that no replicas will ever fir your vehicle in the perfect manner, when compared to the Simmons wheels. Furthermore, the replicas also have the tendency to cause vibrations on the vehicle and this further affects the brake and suspension as well. While you end up saving a little cash, on other hand, you will face a lot of vibrations which are not at all conducive to your vehicle’s health. Why Choose 4×4 Wheels for Your Pickup and SUV? When on the lookout for wheels, keep in mind that there are numerous types, and it is your responsibility to understand the importance of selecting the proper set. The first thing that you need to keep in mind while on the lookout for a new set, is your requirements. The needs of every individual vary. Hence, unless you understand what you require, you cannot go out in search of what you need. For example, if you’re on the lookout for 4×4 wheels for your pickup, there are multiple options to choose from. Mag wheels are the latest in trend, even though they have been around for quite some time. Mags are generally used to enhance performance. However, on larger trucks or SUVs, they are mostly used to upgrade the external aesthetics. However, minor difference in performance is felt even in the larger vehicles in terms of better handing and agility. So, if you think that your SUV feels a little rusty, you know what it needs to boost things up! If you are on a budget, try opting for 4wd mag wheel packages, since they go easy on the pocket without compromising on built-quality, safety standards or performance. The first thing that one must keep in mind before investing in a set of new wheels is the safety rating. While most established manufacturers invest a considerable amount of time and money in research and development, most local manufacturers do not have the resources for the same.Hence, they choose to ignore the safety aspect of the same. Most of the local manufacturers, in a bid to reduce total expenditure, often neglect important aspects such as wheel balancing. This in turn leads to premature wear and tear of the mechanical components of your car. Tyres are equally important in this regard. Hence, make it a point to opt for the same brand and same compound, if possible. The size of the rim and the tyre must be compatible in order to ensure perfect fitment. 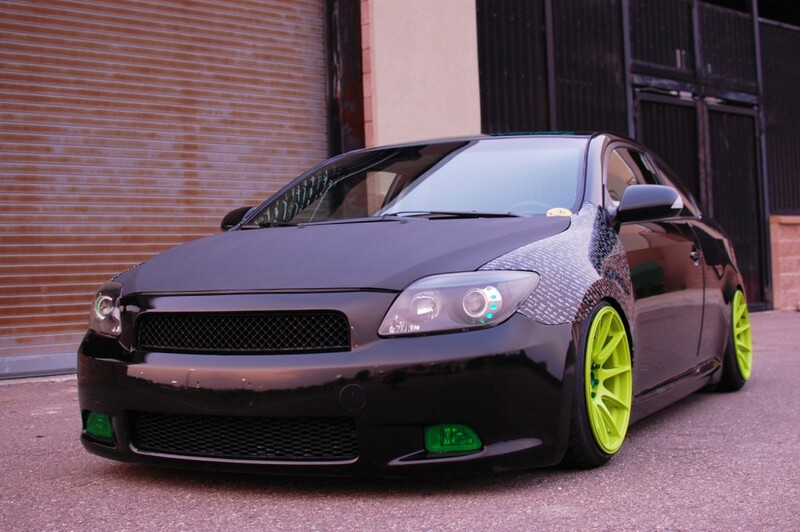 Opt for right sized wheels since they play a huge role in uplifting the general look and feel of your car. 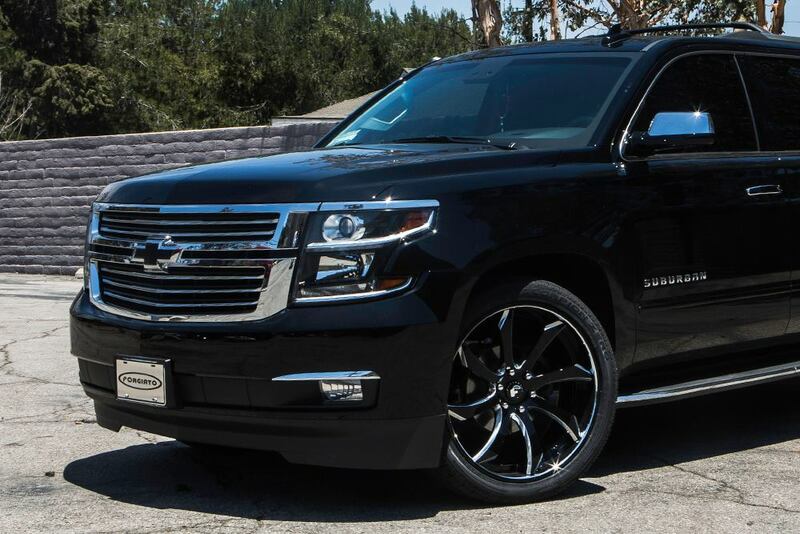 4×4 wheels look especially good on larger pickups and SUVs,since they are designed exclusively for these vehicles. While opting for a new set of wheels, look for package deals, since, they offer greater discounts than solo products. Certain dealers combine the best deals into packages, which are then offered at steep discounts. Keep an eye out for such deals, since they might save you quite an amount of money. 4wd mag wheel packages are quite a steal, if you know where to get them from. There are numerous retailers that try to come up with cheap and low quality packages, which otherwise do not sell. Hence, be very careful while judging the quality of the items covered in the package.